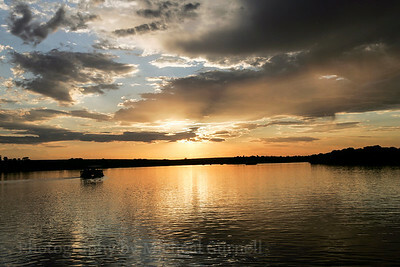 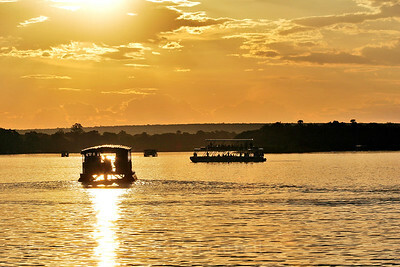 A sunset cruise on The Zambezi River was the perfect retreat after a day of adventure at the Chengeta Safari Lodge. 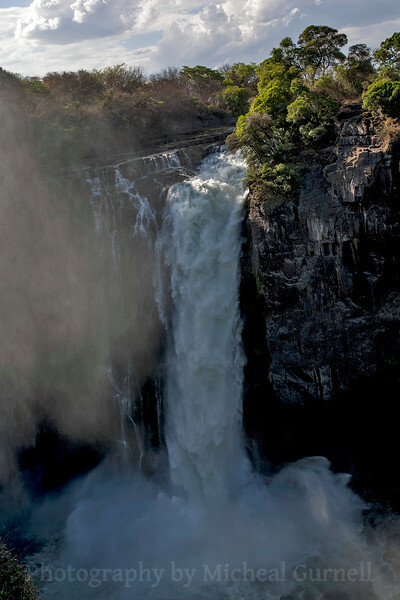 This wide angle view of the falls was taken from an area not accessible to the public, and would typically be seen in an aerial shot. 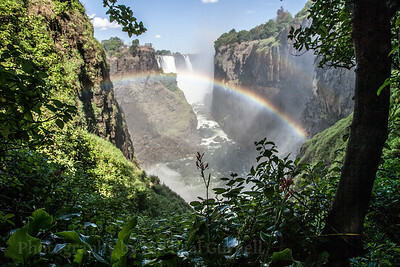 This spectacular view expands from the Devil's Cataract on the left to the Eastern Falls. 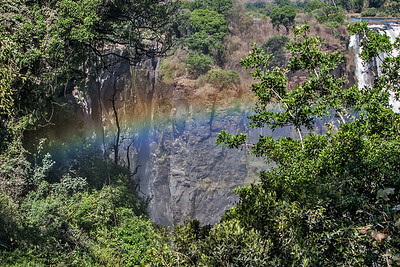 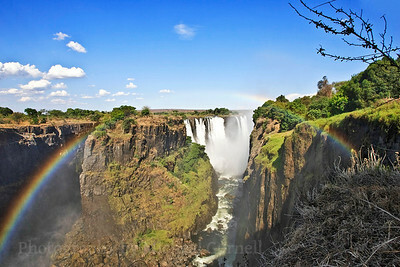 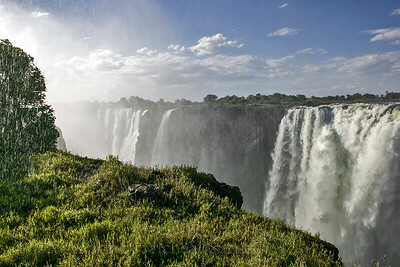 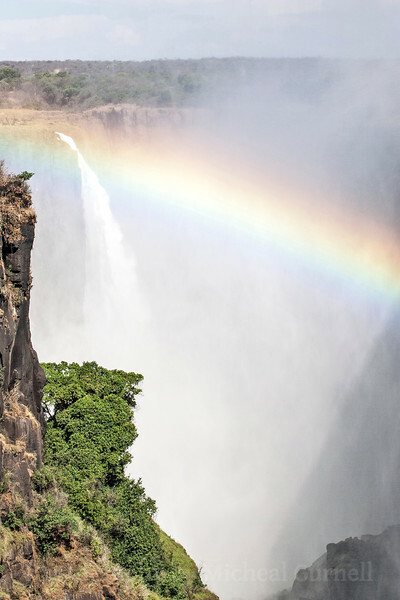 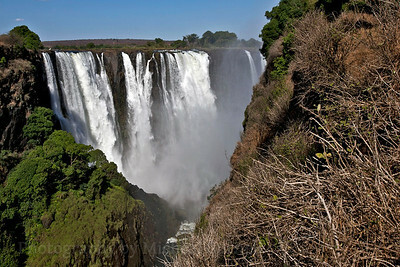 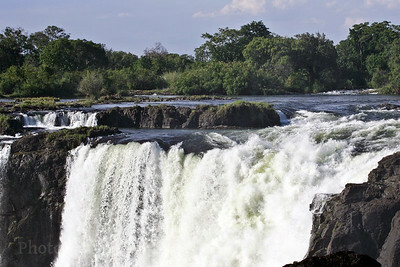 It is the largest curtain of water in the world at 1,700 meters in width, and drops into the Zambezi Gorge. 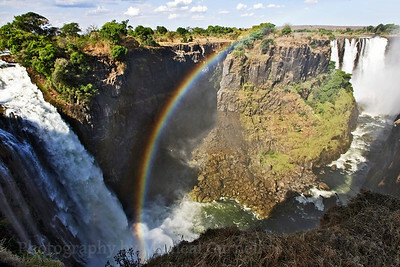 The Zambezi River cascading into the Devil's Cataract of Victoria Falls as it makes its' decent into the Zambezi Gorge. 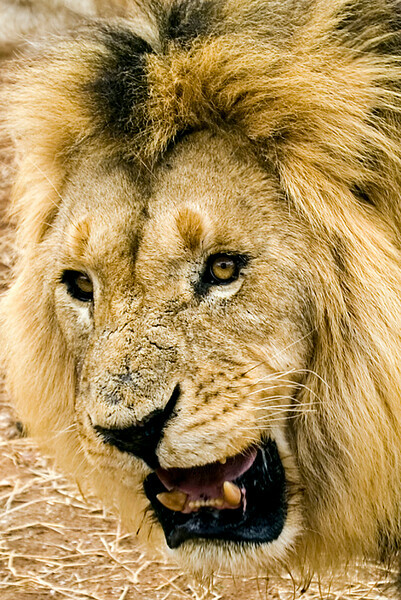 Upon arrival at the Chengeta Safari Lodge I exited the vehicle with camera ready. 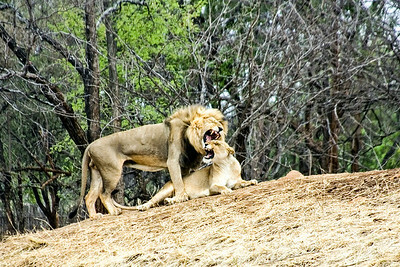 This expression of primal affection was my first exposure. 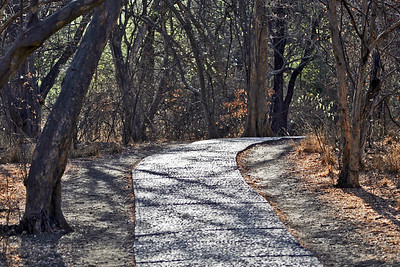 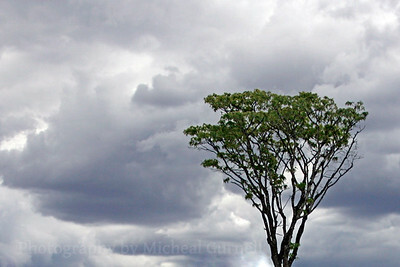 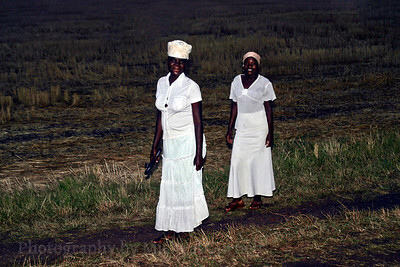 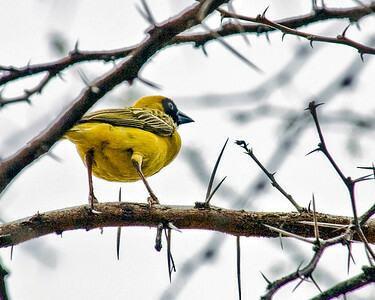 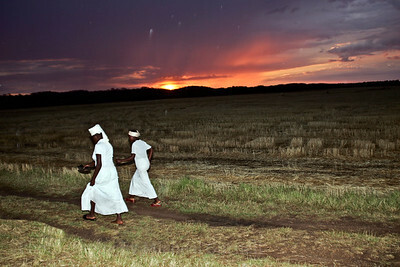 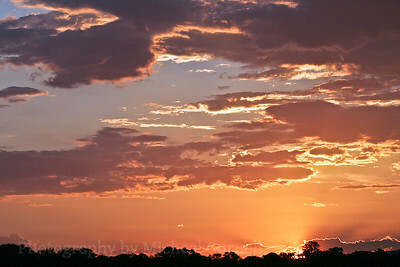 This picture was taken on the Nick Price Golf Course in Zimbabwe.